Known as the the female version of Tongkat Ali. Traditionally, it is used for enhancing vitality, overcome tiredness and much more. 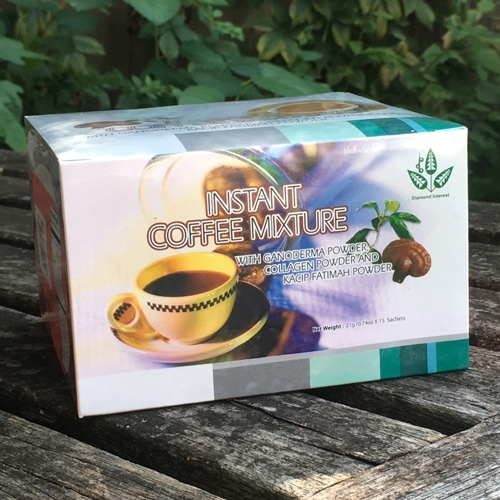 A wonderful coffee beverage you are sure to love. Unique, stimulating, and effective. Kacip Fatimah is a small woody and leafy plant that grows and can be found widely in the shade of forest floors. The leaves are about 20 centimetres long, and they are traditionally used by women who experience a loss of libido. Formulated using precious herbs which are specially excellent for women's overall well-being this coffee has the potential health benefits: Treat gynaecological problems such as menstrual cramps, vertigo and menopause disturbances, Improve skin strength and elasticity, and Stimulate significant reductions in joint pain, tenderness and swelling. Ganoderma is effective in treating gynecological problems such as menstrual cramps, vertigo and menopause disturbances. While Collagen is powerful long-term anti-aging protein. It improves the skin's elasticity and suppleness, reducing lines and wrinkles. With the combination of Kacip Fatimah and Ganoderma, it helps to harmonize the female reproductive sytem.